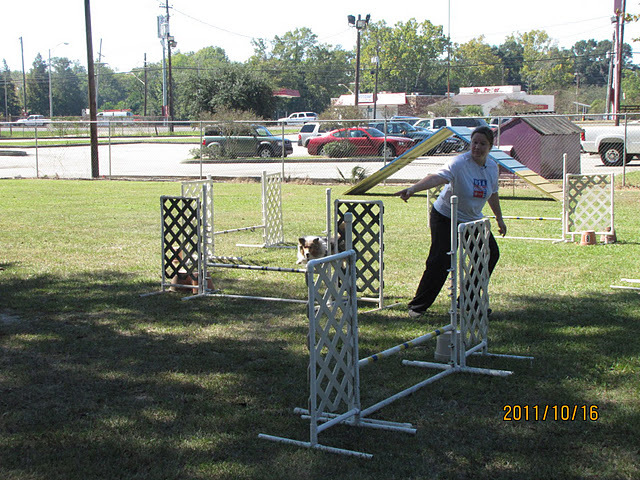 I gave my first agility seminar this past weekend, for LCCOC in Baton Rouge, LA. This is my old club where I trained when I was in vet school, so I knew most people, and it was a nice, laid back atmosphere. Nice way to get my feet wet. I really enjoyed it, and I think everyone was able to come away with something new. The first day was the “Novice” Day, and covered motivation and driving to a remote reward (and how to use that as you begin to sequence), acceleration/deceleration drills, and contacts (running aframe with stride regulators, and the 1RTO stopped contact). The second day was the “Advanced” Day, and we talked about independent 180s and 270s, serpentines, push throughs, and course analysis and decision making (where to cross, which way to turn). The last involved double box work–always great for handling skills. 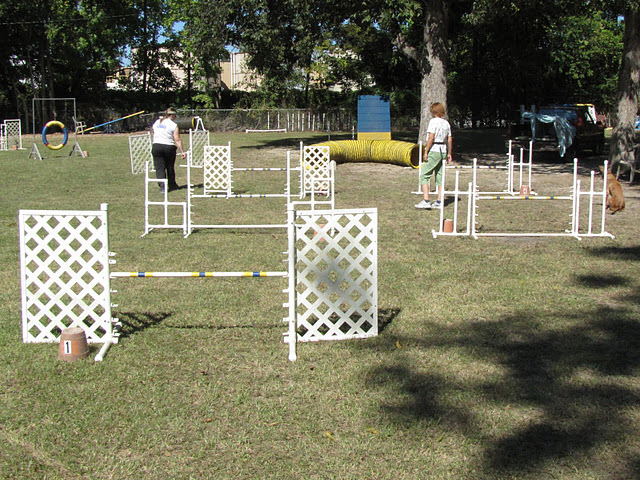 The weather was fantastic–very lucky since we were outdoors. One BIG bonus was the club had a portable mic that I was able to wear. Not spending two days yelling was a welcome surprise. It also helped everyone hear what was being said to the person working a sequence. I think that helps everyone stay involved instead of being distracted by other things–I know it’s hard to focus on someone working when you can’t figure out what’s being discussed. 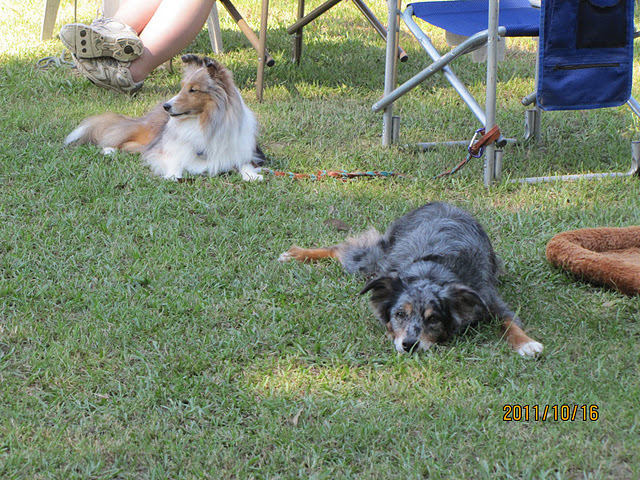 Thanks to Michele Fry and Cheryl Warren for the photos!